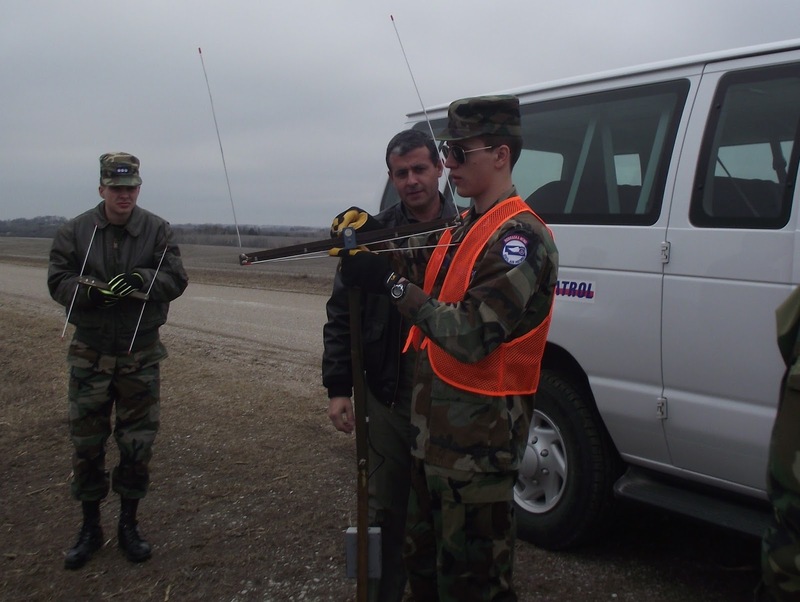 In the month of October Squadron 150 members have focused on Urban Direction Finding (UDF) training for members seeking to become qualified UDF team members. 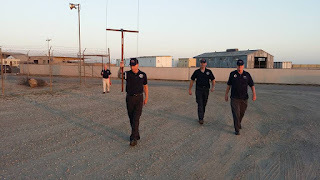 Our first training in this series was held on Thursday 13 October, 2016 at our HQ at Los Alamitos JFT and was conducted by Maj John Hill Squadron 150 Emergency Services Officer and Maj John Frerichs who is the South Coast Group 7 Communications Officer. The training concluded with a valuable exercise to locate a practice emergency locator transmitter (ELT) that had been activated and hidden (quite skillfully, we might add!) on base. This week Majors Hill and Frerichs will continue our squadron's UDF training during the Squadron 150 meeting on Thursday 27 October, 2016. Majors Hill and Frerichs are some of the most experienced and qualified officers in South Coast Group 7 and California Wing in the areas of UDF and communications and we are fortunate to have their expertise. If you're a communications enthusiast, have DF experience, or are simply interested in learning how to serve your community in Emergency Services, we invite you to attend of our squadron meetings to see what YOU could do in Civil Air Patrol! In honor of CAP's 75th Anniversary we are sharing videos created to commemorate the occasion. This video is by Scott Matthews, a Tennessee Wing member and 1999 Spaatz cadet who has been recognized with an Emmy for his video production work. The video debuted at the 2016 CAP National Conference in Nashville, Tennessee. When a mission call comes in to CAP from the Air Force Rescue Coordination Center (AFRCC) that an emergency locator transmitter (ELT) or a personal locator beacon (PLB) has been activated and AFRCC needs us to find the source of the transmission it often takes the efforts of both aircrews and ground-based UDF teams, using direction finding (DF) equipment, to determine the location of the target. 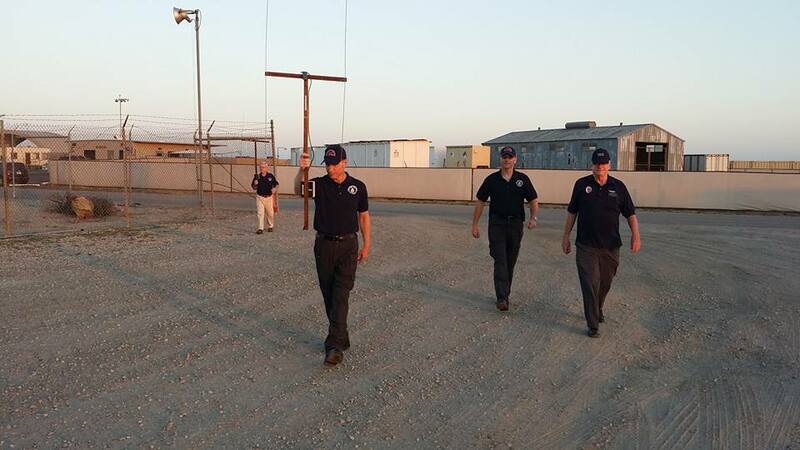 In fact, just a few weeks ago members from our squadron participated in a UDF mission in Orange County. This month Squadron 150 will focus on UDF training for squadron members seeking to become qualified UDF team members. Our first training will be held this Thursday at 1930 at our HQ at Losd Alamitos JFTB. This training will be conducted by Maj John Hill Squadron 150 Emergency Services Officer and veteran of many UDF missions and Maj John Frerichs who is the South Coast Group 7 Communications Officer. Both of these officers provide years of experience and expertise in UDF and communications and we are looking forward to training and qualifying a new batch of UDF team members. If you're a communications enthusiast, have DF experience, or are simply interested in learning how to serve your community, we invite you to attend of our squadron meetings to see if Civil Air Patrol is right for you! Please use the contact form on this page to introduce yourself to us and we look forward to meeting you! 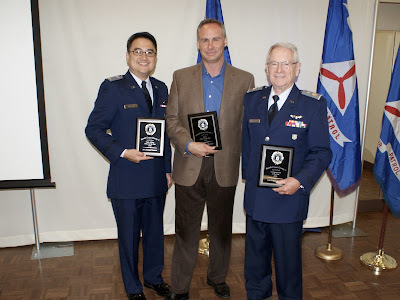 Congratulations to Squadron 150 Award Winners! It was a very good night for Long Beach Senior Squadron 150 at the South Coast Group 7 Awards Banquet held on 24 September, 2016 at the Phoenix Club in Anaheim! 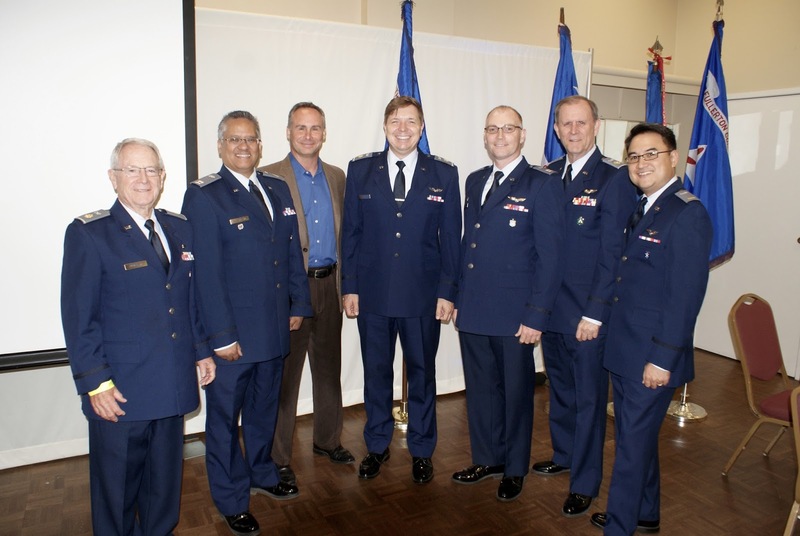 Several squadron members received awards and/or were asked to take on additional assignments at the Group level, while former Squadron 150 members were promoted and/or appointed to positions at South Coast Group 7. Maj. Jerry Civalleri who was awarded the South Coast Group 7 Professional Development Officer of the Year. 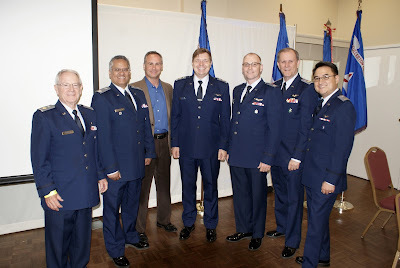 We are also happy to announce that several former Squadron 150 members received promotions and/or were appointed to new duty assignments at Group 7 during the banquet. Capt. Bodo Rau on his promotion to the grade of Major. Major Rau was recently named the Group 7 Finance Officer and Group 7 Assistant Operations Officer. Capt. John Frerichs on his promotion to the grade of Major. Major Frerichs continues in his role as the Group 7 Communications Officer. 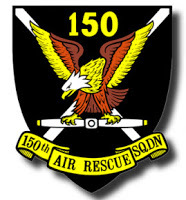 Former Squadron 150 Commander Capt. Lloyd Bumanglag who was named the Group 7 Professional Development Officer, Assistant Public Affairs Officer and IT Officer. Former Squadron 150 Commander, Lt. Col. William Phinizy who was appointed Group 7 Deputy Commander and continues in his role as Group 7 Assistant Communications Officer. Lastly, we want to thank Lt Col. Robert Calderone for his service as Commander of South Coast Group 7 for the past three years. We also welcome incoming Group 7 Commander, Lt Col. Jim Robertson. We look forward to working with you!